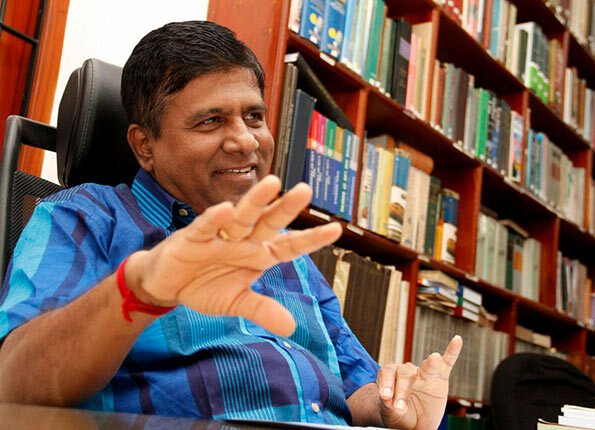 Refuting criticism on the conduct of the Constitutional Council (CC) in selecting the new Inspector General of Police, Justice and Buddhasasana Minister Dr. Wijayadasa Rajapakshe said that the CC was acting well within its capacity to select the suitable candidate for the post. Minister Rajapakshe said that President Maithripala Sirisena refrained from making the final selection for the post of the IGP as there was a conflict of interest. “The individuals concerned are also responsible for his security, so he did not want to make a final decision and preferred to let the CC make a collective decision on the selection of the next IGP,” he said. Referring to provisions in the constitution, the minister argued that the CC has been empowered to make a selection when more than one name has been put forward by the President for the posts listed in the schedule, which includes the post of the IGP. “According to the constitution, provisions have been made for the Council to make a selection,” Rajapakshe said. However when President Sirisena forwarded two names for the appointment of the Attorney General, the CC sought a clarification and requested the President to put forward one nomination for approval of the Council. Minister Rajapakshe also claimed that no member of the Council raised any concerns of conflict of interest in Minister Champika Ranawaka being involved in the selection process. Earlier, concerns about Ranawaka’s participation were raised on the grounds that as one of the nominees is overseeing an investigation in a hit and run case involving the minister. “These are common issues. None of the nominees were involved in the investigation. The investigation is being conducted by ordinary officers in the police force,” Rajapakshe said. Thank you for telling us about the snow-white puritans in the Constitutional Council which represents a rabid, and sickening Sena-Singhe Government. Dr Raja, the common masses of this country are fed up your so-called puritanism. The corruption in the Sena-Singhe Government has overtaken the alleged corruption in the Country Saving Government of the Rajapaksa family. The retiring IGP was the most corrupt policeman SL has had since 1948. Your nominee, based of past record, is bound to beat that record. BTW, has the Police identified those who fired blank shots at your palatial residence in Nawala some time ago? Patali Champika is Minister of the Mega Police. How can he vote for new Inspector of Police? The CC is is big joke.